I have today received a copy of the ESA85 resulting from my WCA on ­­­­­__________. Although I have not yet been advised of DWP’s decision, it is obvious what it will be given Ms Jones (HCP) concluded that none of the descriptors apply and I that I have no restrictions at all to my capabilities. There is no point therefore in delaying raising this complaint – disappointing, but entirely predictable. In part, I asked my wife to accompany me on this occasion because based on past experience I simply could not trust your HCP to accurately record the interview so I felt I needed a witness and it was just as well I had one. The inaccuracies within the report are deliberate and subtle, but clearly intended to slant the overall picture in one particular direction and generally understate or dilute the consequences of my condition. For example, the personalised summary uses the word “mostly” which is a complete misrepresentation of what I said. It also states that I had no observed difficulty which is simply a lie – getting on and off the couch was very painful, despite the help from my wife. Ms Jones could not possibly have mis-read this. Although Ms Jones was polite, she was somewhat offhand and clearly keen to complete as soon as she could. I very much felt like I was being “processed”. Her questions were direct and phrased to prompt a simple yes/no answer, so I continually had to interrupt her to elaborate where necessary. Although Ms Jones claimed to have seen it, she did not have a copy of my ESA50 with her and could not therefore make any reference to it during the interview. From the discussion that took place, it was evident that she had not read it thoroughly as she could remember little of its content. To demonstrate the extent of my treatment in relation to my impairments, I took along a copy of an X-ray showing the metal frame that now supports my lower spine, but she gave it no attention, asked no questions nor made any reference to it in her report. From the outset, she gave a clear impression that the outcome was pretty much a foregone conclusion. I do not believe she had an “open mind”. For the third time, my date of birth is wrongly shown, despite the fact that this is supposedly checked by the HCP – perhaps representative of the general standards and rigour applied. I do not believe the timings recorded as I left the interview at 13:45, commenting to my wife that it was the shortest yet. Paracetamol dosage is wrongly recorded (see ESA50). · List all the current diagnoses: The information recorded is neither accurate nor complete (see below). 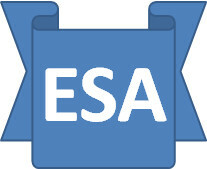 · Ensure that all conditions entered in the ESA50, or other medical reports are included. Not included. · The HCP should . . enquire into any improvement or deterioration in each condition since they completed the ESA50. Ms Jones did not raise this question at any stage, despite the fact that I had completed the ESA50 five weeks earlier. I explained that my overall condition had deteriorated over the past month or so, but this does not appear in the report. It is therefore very surprising (particularly given the relevance of this example) that Ms Jones did not record either the diagnosis or surgical remedy accurately. She was also not conversant with the range of outcomes that result from such surgery. The main issue however is that for both Activities 1 & 2 Ms Jones’s conclusions are completely inconsistent with her own observations and my ESA50. The choice of descriptors must be supported by appropriate medical evidence and detail, but that is not the case here. The handbook encourages quantification (e.g. paragraph 3.1.3.10), but there is none here, in contrast to my ESA50, which is quite specific. P65 specifically states, “Include details of distances walked/mobilised”. There is a reference to me walking 20m to the examination room, but not to the fact that I was the last to arrive by a long way and as Ms Jones walked well ahead of me she was in no position to assess any difficulty I was having. Similarly, for Activity 2, she has no grounds for dismissing Descriptor S(b). As I am sure you are aware, consistency is a vital element of this report and it is essential that the comments really do bear out the choice of descriptor, especially when the opinion differs from the customer's own assessment. By the same token, a definite distinction has to be made between fact and opinion and while an opinion on its own may have persuasive value it can never take precedence over an opinion which is based on clear and concise evidence. This report does not fulfil either requirement. but has failed to do so. Nowhere in the report has Ms Jones taken this into account. In view of the overall quality and accuracy of this report, in any comparable situation the repercussions would be that the fee for the service would be withheld and the HCP would not be used ever again, but this decision is of course yours. The sad reality of this incompetence is that a huge amount of unnecessary work will now be created within DWP and the Tribunals Service, not to mention the stress and upset I will suffer. For Atos and the HCP by contrast there are no repercussions whatsoever. Hi William, give me an email address and I'll help where I can.